H.E. Antônio Augusto CANÇADO TRINDADE, born in Belo Horizonte, Brazil, on 17 September 1947. LL.B. (Minas Gerais, First Prize in Civil Law, 1969); LL.M. in International Law (Cambridge, 1973); Ph.D. in International Law (Cambridge, 1977, with thesis on “Developments in the Rule of Exhaustion of Local Remedies in International Law”, awarded the Yorke Prize). Judge of the International Court of Justice (since 2009); Judge (1995-2006) and President (1999-2004) of the Inter-American Court of Human Rights. Emeritus Professor of International Law of the University of Brasília, Brazil (2010). Professor (Full Professor/Professeur titulaire) of Public International Law of the University of Brasilia (1978-2009) and of the Diplomatic Academy Rio Branco of Brazil (1979-2009). Doctor Honoris Causa, Central University of Chile, Santiago, Chile (2003); Doctor Honoris Causa, Catholic University of Peru, Lima (2003); Doctor Honoris Causa, American University of Paraguay, Asunción (2004); Doctor Honoris Causa, National University of La Plata, Argentina (2005); Doctor Honoris Causa, University Panteion of Athens, Greece (2014); Doctor Honoris Causa, Autonomous University of Madrid, Spain (2015) . Honorary Professor of International Law, Utrecht University (2010). Honorary Fellow, University of Cambridge (Sidney Sussex College, 2011). Honorary Visiting Professor, University of Rosario, Bogotá, Colombia (2005). Honorary Professor, Universidad Nacional Mayor of San Marcos, Lima, Peru (2001). Honours and prizes, from various Universities, International Institutes and Academic Societies in several countries. Between 1982 and 2015, Visiting Professor at the University of Los Andes, Mérida (Venezuela); University of Milan; University of Paris-II); University of Ferrara; Columbia University; Tulane University, New Orleans; Universities of Seville and of Deusto (Bilbao); University of Notre Dame; Washington College of Law, American University; Autonomous University of Madrid (UAM); University of Paris-I (Panthéon-Sorbonne). Between 1982 and 2005, Guest Lecturer at the Universities of Milan, Salerno, Warsaw, Lisbon, Nottingham, UNAM/Mexico, Keio/Tokyo, Hiroshima, Kioto, among others, and at Diplomatic Academies in several countries. ICRC Lecturer in Havana, Cuba (1995-2002) and in Hong Kong and Macao (China, 1996). Between 2010 and 2015, Guest Lecturer also at the Catholic University of Milan; University of Oslo; University of País Vasco (San Sebastián, Spain); University of La Plata, Argentina; University of Coimbra; Catholic University of Louvain; Queen´s University Belfast; University of Vilnius, Lithuania, Université Libre de Bruxelles and University of Gand (Chair “Henri Rolin”, 2015). From 1981 to 2015, Lecturer at the annual Courses of the OAS Inter-American Juridical Committee, Rio de Janeiro; and the International Institute of Human Rights, Strasbourg (1988-2015); among others. Lecturer at the European University Institute, Florence (General Course, 2007). Legal Adviser to the Ministry of External Relations of Brazil (1985-1990); Delegate of Brazil to several international Conferences (U.N., OAS, and others), including the U.N. Conference on the Law of Treaties between States and International Organizations (Deputy Head of the Delegation, Vienna, 1986), and II World Conference on Human Rights (Vienna, 1993). Executive Director of the Inter-American Institute of Human Rights (1994-1996). Legal Adviser to projects of UNEP (Nairobi, 1990-1992), UNDP (1988 and 1990), UNHCR (1994, 2004 and 2014), ICRC (1997-2000), UNESCO (1997); member of the OAS Commission of Jurists for Nicaragua (1993-1994). Arbitrator, International Centre for Settlement of Investment Disputes (2006-2008). Holder of several international and national condecorations. 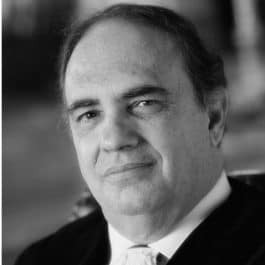 Member of the Curatorium of the Hague Academy of International Law (since 2004); Member of the Institut de Droit International (since 1997); Member of the Brazilian Academy of Juridical Letters; Honorary President of the Brazilian Institute of Human Rights. Author of 56 books, and around 720 other published works, among monographs, contributions to books and collections and Mélanges / Festschriften, essays and articles on international law, published in numerous countries and in distinct languages.